We are continuing to press on in these 40 Days of repentance and prayer to seek the Lord and for true transformation to occur. Jesus has been with us on this journey through ups and downs, struggles to stay on course, to stretch out of our comfort zone and to grow in the Lord. Let us give Him the praise He deserves. Praise Him and exalt His name. I hope you have been encouraged to grow in daily meditating on the daily scriptures that apply to a specific focus, fasting and writing in your journal. Even if you made small improvement don’t you give up. It takes discipline and getting out of our comfort zone to look at the “man or woman in the mirror” and to repent. God wants you to seek His face in intimate communion, consultation, and listening. He wants you to intentionally seek His heart and voice in everything that you do. He also wants us to obey His Word. During these 40 Days you should want and God wants to see transformation in our hearts, mindset and lifestyle. He wants us to grow in the power by the guidance of the Holy Spirit. Repent: Of not magnifying and lifting high the name and person of Jesus Christ; of not participating in praise and worship of the Lord-personally and corporately; of not giving the Lord the honor that is due His name; of_____________________. For forgiveness for not praising and honoring God as we should. That the spirit of true praise and worship will break out in the church. That you will faithfully magnify His name and give Him the honor and glory due Him. Praise God that He is the Exalted One; that His name is above every name, and that every knee will bow and tongue confess that Jesus is Christ is Lord. Intercede that you will find a place to be quiet and sit before the Lord , expecting to hear what He has to speak today. For grace to walk in humble obedience to hear His voice. This is the last day of the 40 Day Prayer Journey to Life Transformation. As these 40 days of repentance, fasting and prayer draw to an end, we must make a commitment and set our minds to press onward to consistently seek the Lord in prayer and worship and to intercede for your city, family , nation and others. Jesus has been with us on this journey through ups and downs, struggles to stay on course, to stretch out of our comfort zone and to grow in the Lord. Let us give Him the praise He deserves. We must hold fast to the transformation in our lives we have experienced. May we rally together to transform our city with the presence of Christ. The number 40 is a significant number. In the Bible 40 is a specific time period associated with a period of testing, trial, probation or chastisement. “The number 40 is a indication that God is ready to birth something new out of pain or challenge”. Kingdom Principles for Everyday Living by Stewart Perrilliat. It rained 40 days and nights , Moses was on the mountain with God for 40 days and nights, and the Israelite wandered for 40 years before entering the Promised Land. Jesus fasted in the wilderness for 40 days and 40 nights in the wilderness. Believe with great expectation that this 40 Day Prayer Journey will develop a more intimate relationship with the Lord, a casting off of “old garments” and a renewed mind and heart which will result in transformation in your life. Repent: Of failure to humbly worship the Lord for who He is –Kings of Kings, Holy, Loving, Lord; of not gathering with other believers to worship the Lord in spirit and in truth; of not giving our all to the Lord as an act of worship; of not worshipping Him with your whole heart but only in form; of not magnifying and lifting high the name and person of Jesus Christ; of not participating in praise and worship of the Lord-personally and corporately; of not giving the Lord the honor that is due His name; of_____________________. For and receive a heart revived to passionately and completely worship the Lord, simply because He is worthy of our praise, worship and adoration. Pray that the people of God will see themselves how God sees them. Pray that you will be able to share an encouraging word today with someone. Pray for people to be saved this day. Pray for believers to be filled with expectant love for Christ and that He would manifest Himself in such a way that rocks the church and the nations. Pray that you and members of the church will worship the Lord in spirit and in truth. Praise God – that He reigns now and forever. Amen! REJOICE!! !——–This is the last day of the 40 Day Prayer Journey. Rejoice that God, the Exalted One, gives us the privilege of celebrating and honoring His rightful place as the Almighty Lord and King of Kings. Praise God that His name is above every name and that at His name every knee will bow and every tongue will confess that Jesus Christ is Lord to the glory of God the Father. Hallelujah! Jesus is alive and is our soon coming King. Do you spend time praising God by identifying His attributes? Dedicate an extended time to praise this week. Meditate on passages like 1 Chronicles 29:10-13 and Psalm 145: 1-7. Write out your own prayer of praise. Adopt the rule of no asking or supplication for the first five to seven minutes of your prayer time. Linda Fegins, “The Prayer Leader” has served as prayer leader and teacher/trainer on the “Prayer Boot Camp” with the Global Missions Prayer Force and as a guest intercessor and volunteer for Girlfriends Pray a global prayer ministry. She served as Prayer Coordinator for over 13 years( later Director over the Prayer Ministry) for the Lydia Circle Christian Business and Professional Women. As part of the Lydia Circle she has lead over a dozen prayer boot camps, and has lead prayer services and workshops in the Bahamas and in South Africa and was on the prayer team of a medical missions trips to Jamaica under the leadership of Rev. Jackie McCullough. 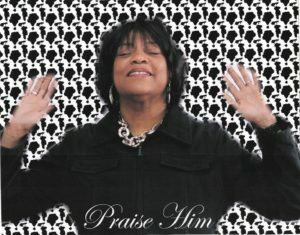 She serves as the Prayer Leader of the Intercessory Prayer Ministry of her church. We are nearing the end of this 40 Day Prayer Journey “Growing by the Power Within to Please God: Repenting for a Renewed Relationship With God”. Philippians 2:13 . Just a few more days to go. I hope you have been blessed and have sincerely begun to grow in prayer and your relationship with the Lord during the Lenten Season and always. As you walked this forty (40) day prayer journey and adventure of repenting and praying toward the desires and promises of God to enable us to grow by the power within to please God, share your experiences. Let each of us grow in grace, in service and deed, in love for God and each other and into a lifestyle of individual and corporate prayer. This is a daily prayer journey. The daily prayer points in this guide begin with stated scriptures applicable to the focus of the day. 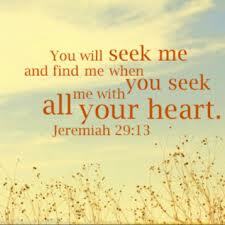 You are invited to seek God’s face to enable you to grow in the actions and thoughts that please God. 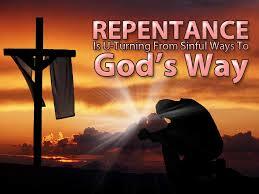 You want to confess, repent and turn from actions and thoughts that grieve the Lord. • Confess to the Lord if you don’t like to pray for others or don’t pray for others or think it is boring. Is it because you don’t love them as you should? Confess that also. • Pray for an increase in your ability to see the good in others, for a deep sense of care for the well being of others and for confidence that your prayers will make a difference in their lives. • Thank the Holy Spirit for His ability and willingness to purify our prayers and to help us when we don’t know how to pray very well (Romans 8:26). • Thank God for others in your family, congregation, or circle of friends. Tell God the specific things about them for which you are thankful. • Pray for your Pastor . • Pray that grace to minister and serve together in love, honor, and humility will exist throughout the church. 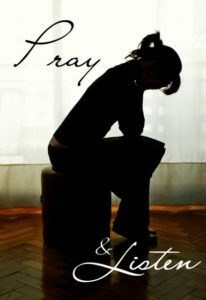 • Thank God that he hears and answers the prayers of ordinary persons and makes it possible for us to pray powerfully. 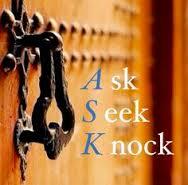 • Ask God to reveal to you what he wants you to pray about and to help you pray earnestly and persistently. • Pray that God will cause his church to grow strong in prayer and be effective in ministry. • Pray that men, women, boys, and girls will be happy to be enlightened and empowered of the things of God. • Tell God that you are available to pray earnestly and persistently about anything that He lays on your heart and that you will listen for His direction. Now listen for God’s directions. • Pray for the Holy Spirit to bring victory over all unrighteousness. • Pray for the Arts and Entertainment Industry-that God will inspire artist and those in the entertainment industry with creativity and wisdom that reflect God’s beauty and truth; pray for salvation of those in the industry; and that those who come to follow Christ will follow Christ with courage and take a stand for Jesus. Praise God for His mercy. Mercy means that God does not treat us as we deserve. • Thank God for conviction or “good guilt” that drives us into the arms of His forgiving love when we confess. • Confess any wrong you are aware of that remains unconfessed. Repent. • Ask for a clean heart, a renewed life and a steadfast spirit. • Pray that God will give his church sensitivity to sin and a readiness to confess when and if that is needed. • Pray for God’s people to stand still and hear His voice. • Pray for those who have lost a love one and the loved one didn’t know Christ. Thank you for joining the 40 Day Prayer Journey “Growing by the Power Within to Please God: Repenting for a Renewed Relationship With God”. Philippians 2:13. We have talked about rising spiritually during the prior prayer journey posts.We went to grow by the power of the Holy Spirit within each of us to please God. This is a daily prayer journey. 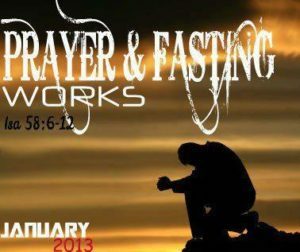 Today’s prayer focus is a continuation of the 40 Day Prayer Journey which began on March 1 Ash Wednesday. See prior post for prior days. 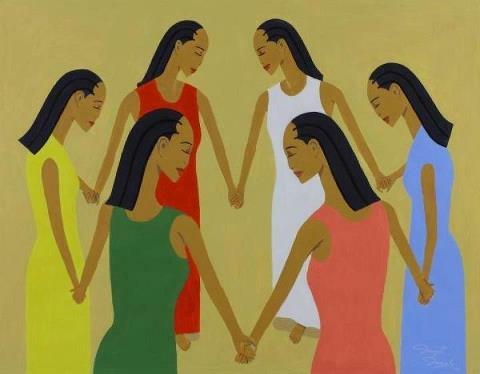 By Linda Fegins “The Prayer Leader ldfaygo@gmail.comThe Prayer Leader” is a former Prayer Coordinator (for over 13 years, later Director over the Prayer Ministry) for the Lydia Circle Christian Business and Professional Women. She serves as an intercessor and teacher/trainer with Global Intercessors Prayer Force. 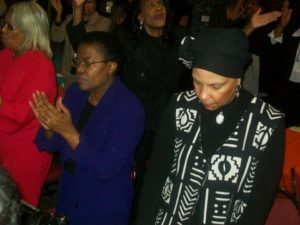 As part of the Lydia Circle she has lead over 8 prayer boot camps, all night prayer services, and has lead prayer services and workshops in the Bahamas and in South Africa. She served on the prayer team of a medical missions trip to Jamaica under the leadership of Rev. Jackie McCullough. She serves as the Prayer Leader of the Intercessory Prayer Team of her church. Linda is as an intercessor and volunteer for Girlfriends Pray, a global prayer ministry. We have arrived at the 12th Day of the 40 Day Prayer Journey. How has the prayer journey been for you? Hopefully each of you have begin to slowly see your relationship with God grow. Step into this forty (40) day prayer journey and adventure of repenting and praying toward the desires and promises of God to enable us to grow in our spiritual walk. Let each of us as individuals and as a corporate body grow in grace, in service and deed, in love for God and each other and into a lifestyle of individual and corporate prayer. 2. Select a Prayer Partner or two (Triplet) to pray together at least once a week as you determine for your schedule. 3. Daily pray the intercessory daily prayer focus and prayer points for that date. Read the Bible and the scriptures. 4. Read the scriptures listed in the daily prayer focus. Answer the questions in your journal if there are any for that day and write down your reflections. Meditate on the Word each day. 5. Make an entry in your journal each day or as led by the Holy Spirit. Make sure you the complete the “Something to Act On” exercise section where it appears from time to time in the daily prayer focus. • Pray for the church to become committed to become wholly devoted to the Word and to God’s purpose and will for the Kingdom. • Pray for the church and you to become committed to following after the Lord. • Pray that you and the church will replace a complacent attitude and concern for the distractions of the world with a restoration of first love passion for Jesus. • Pray for the Lord to add to the church daily those who are being saved. Acts 2:4. • Pray for ministry leaders to be committed to corporate prayer. • Pray for those who are unemployed.-Pray that God will meet the needs of those without work in a way that they can thank God for his provision; that they will sound find meaningful employment and glorify God for it. Something to Act On: Meditate on the scripture. Write down what you need to put in the hands of God and wait on the Lord for an answer to enable you to rise to the spiritual ways of the Lord rather than you acting in your flesh. • Pray that those with mixed emotions and who stagger between both the world and the Lord would choose whom they will serve and come to know Christ. • Pray for a desire to know the will of the Lord. • Ask God the direction He would have you to go or His will for your life in a certain situation. • Pray for the ministry leaders to seek direction, instruction and empowerment from the Lord first before they plan activities, events and actions. • Pray for the military: for God to extend the gospel message through the special relationships of military life; for courage and protection in the danger of battle; for wisdom as military personnel are called upon to do the work of governing and enforcing law; for grace upon chaplains and other spiritual leaders; that God will fortify families who have been separated. • Pray for the political leaders in the City of Detroit or your city. Something to Act On: Meditate on the scripture. Inquire of the Lord what action you should take to handle a situation. Ask the Holy Spirit to help you pray as you should. Pause. Listen. Repent: Of serving without joy or unity of the Spirit with brothers and sisters in the body of Christ; of serving out of law and not of love and of serving with impure intentions, goals, and/or reasons. • Pray that each ministry will develop a team with one spirit and one mind that enjoy their service in the ministry. • Pray for unity within the church. • Poor: For God to establish the poor so that their spiritual and physical needs are met with dignity and stability; that God will release them from hidden cycles of oppression and despair; that God will reverse any curse and multiply blessing. • Pray that believers will witness for Christ through their lives and words. • Ask God what more can you do to serve our church and community. • Pray for a fresh anointing to serve with joy, gladness, passion and power. Something to Act On: Meditate on the scripture. Examine your conduct in serving the Lord at church and in the community. What action do you need to take to truly show that you are rising in the spiritual in your commitment to serve the Lord with all your heart. Write down your response. • Ask the Lord that prayer and intercession will increase in purity, passion and power in you, the church and throughout the city. • Pray that those who are called to mobilize, lead and encourage others in prayer will be raised up, trained and equipped throughout the church. • Pray for the Intercessory Prayer Team Ministry. Call them by name. • Pray that church members will seek to gather together for corporate prayer and that the manifestation of the Holy Spirit would come upon every prayer gathering or meeting in our church and in the city. • Pray that your city will be transformed as we cry in humble and faith-filled intercession. 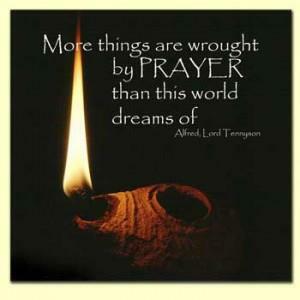 • Confess any shortcoming in your prayer life of which you are aware. • Ask God to teach you to pray with love, power and authority. Something to Act On: Examine your prayer life. Ask God to reveal to you the areas of your prayer life you need to rise to the spiritual ways of God. Greetings! I am excited about this 40 Day Prayer Journey. This is the 8th day of Lent on this 40 Day Prayer Journey. The Lenten Season (March 1 to April 9, 2017) is a time of repentance, self-examination, fasting and prayer in preparation for Resurrection Sunday (Easter). You may see the prior posts. Hopefully each of you will join me in this 40 Day Prayer Journey. Step into this forty (40) day prayer journey and adventure of seeking the Lord daily, examining our selves , repenting and praying toward the desires and promises of God to enable us to grow in our spiritual walk. Below are Days 8 and 9. 1. Fast at least one day per week preferably Wednesday (see information on fasting included in this packet). Alternatively, you can fast a food or activity the entire Lenten season. Select a Prayer Partner or three(Triplet) to pray together at least once a week as you determine for your schedule. • Ask God to search your heart and to reveal to you any sin for which you need to seek forgiveness. • Intercede for your church and the churches in our community to be filled with fresh love for God and to demonstrate the love to others. • Pray that the love of Christ will compel believers everywhere to share the gospel with others in love. • Ask God to give you clarity about your purpose. • Pray for a deeper relationship with Christ through prayer and to help you pray consistently. • Pray for Youth – Psalm 144:12 – that they will commit themselves to Christ; for moral strength to choose wisely; for older mentors; for friendships with those who are following Jesus, for good relationships and open communication with parents. Something to Act On: Write down all the ways you can that show the Lord that you love Him with all your heart. • Intercede for family members, friends and neighbors that they may began to seek to know God and have a desire to walk and talk with Him. • Pray for Families Gen. 28:14 – For God centered relationships among family members; for families broken by divorce to be healed; that Christ’s forgiveness would occur among family members; that parents will teach their children in God’s ways of living and that families would pray together. • Pray for those who are unemployed and those burdened by debt. Something to Act On: Write down what you want to lay aside and to stop doing. Now write what spiritual things you want to rise toward thinking and walking in to please God and to be more like Jesus. Hopefully each of you will or have joined me in this 40 Day Prayer Journey which started March 1. Step into this forty (40) day prayer journey and adventure of repenting and praying toward the desires and promises of God to enable us to grow in our spiritual walk. Let each of us as individuals and as a corporate body grow in grace, in service and deed, in love for God and each other and into a lifestyle of individual and corporate prayer. Know that you won’t be praying alone on this 40 Day Prayer Journey. God is orchestrating this corporate prayer of which YOU are an important part. Scripture makes prayer a priority of the church. The Lord said “My house shall be called a house of prayer for all peoples”. (Isaiah 56:7 RSV). Below Days 4 through 7 are provided: They are short and you can do a day at a time . 1. Fast at least one day per week preferably Wednesday Alternatively, you can fast a food or activity the entire Lenten season. If you have questions send me am email. The Lenten Season (March 1 to April 9, 2017) is a time of repentance, self-examination, fasting and prayer in preparation for Resurrection Sunday (Easter). 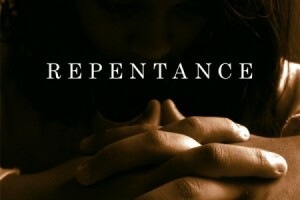 Today seek God with a repentant heart (See Joel 2: 12-24) and honestly search your heart (Psalm 139:23-24). As you pray through the 40 Days of Prayer Journey allow the Lord to examine your life thoroughly. Praise God that He responds to humble hearts and that His grace will search out every hidden place of sin if you surrender to Him. • Confess to the Lord the ways you have not understood repentance as a lifestyle. • Ask the Lord to give you a tender heart that is sensitive to the voice of the Holy Spirit and the conviction of sin. • Pray for pastors and ministry leaders to live lifestyles of repentance. • Pray that the message of repentance as a way of life will be preached in churches in your community. • Pray that your lifestyle of repentance will glorify God and attract unbelievers to God. • Pray that the Word of God will be revered and honored at your church. • Pray that believers in your community will see a truer picture of idolatry and sin- and be willing to repent. • Ask God to cleanse your heart of every fault and sin and renew a right spirit within you. • Specifically I confess to You Lord______________________________________. • Ask the Lord to show you any place in your life where you harbor sin in your thoughts, words, or actions that you have not recognized. • Welcome the Lord into those inward places and repent of everything He shows you. Rejoice in His peace. • Ask the Lord to enable you by the power of the Holy Spirit to make changes where you need to do so. • Ask the Lord to “wash me thoroughly from my iniquity, and cleanse me from my sin: and create in me a clean heart”. Psalm 51:1-2, 10-11. • Pray that the thoroughness of repentance will be embraced by others at your church and other churches. • Praise the Lord that the Blood of Jesus will cleanse and redeem every part of your repentant heart. Something to Act On: Meditate on Psalm 51. Let the Spirit teach you important things about confession and restoration from its verses. Give thanks that God will hear our cries of repentance. • Ask forgiveness for delaying repentance because of pride or negative motives. • Pray for the Lord to reveal every area in your community where He requires repentance. • Pray that the churches in our city would be overwhelmed with a spirit of humility and repentance, turning from the ways of the world and toward the Lord. • Pray that the number of believers following the ways of humility and repentance would increase exponentially. • Pray that the promise of revival would be poured out upon the people of God as we walk in His ways. • Ask God for a repentant heart and a fresh awareness of sin and the Lord’s love to forgive us if we confess our sin. Something to Act On: Make a list of 3 spiritual blessings and thank God for each one of them. Praise the Lord that He delights in responding to a heart of repentance and humble hearts. • Confess the ways you have ignored God’s call to repent. • Offer your heart to the Lord in repentance. • Pray that the cycles of violence and revenge be ended. Pray that we repent as a community and nation from hatred, fear, racism and anger. • Pray for the spirit of repentance to sweep across the city of Detroit or your city. • Pray that the grace of God would impact the world through you as you follow Him in humble obedience and repentance. 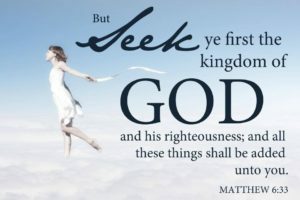 • Pray that many in our city, family and community will turn from their evil ways .Pray that that they open their spiritual eyes and ears to hear the gospel, to see their sin, such they will turn and follow the Lord. 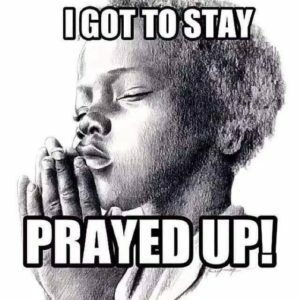 • Pray that God will use your prayers of repentance as a powerful spiritual weapon in your church and city. Something to Act On: Write down all the areas in your life where you want to experience spiritual growth. Linda Fegins, “The Prayer Leader” serves as prayer leader and teacher/trainer on the “Prayer Boot Camp” with the Global Missions Prayer Force and as a guest intercessor and volunteer for Girlfriends Pray a global prayer ministry. She served as Prayer Coordinator for over 13 years( later Director over the Prayer Ministry) for the Lydia Circle Christian Business and Professional Women. As part of the Lydia Circle she has lead over a dozen prayer boot camps, and has lead prayer services and workshops in the Bahamas and in South Africa and was on the prayer team of a medical missions trips to Jamaica under the leadership of Rev. Jackie McCullough. She serves as the Prayer Leader of the Intercessory Prayer Ministry of her church.